Cincinnati, Ohio—During the American Diabetes Association’s (ADA) 76th Scientific Session in June 2016, data from an Ethicon-funded study was presented that demonstrates bariatric surgery may be a better treatment option than medical therapy and lifestyle management alone for obese Asian Indian patients with inadequately controlled type 2 diabetes. The COSMID (Comparison of Surgery vs. Medicine for Indian Diabetes) Trial is the first randomized controlled study that specifically addresses the Asian Indian population, which develops type 2 diabetes at an earlier age and a lower BMI than Caucasians. India’s population is the third most obese in the world1 and obesity is the number one cause of type 2 diabetes in India; over 80 percent of adult diabetics in India are clinically overweight. Asian Indians have a strong ethnic and genetic predisposition for developing diabetes at a younger age and at lower body mass index than the Caucasian population. At the same weight as a Caucasian, an Asian Indian is at greater risk for obesity-related conditions such as heart disease and diabetes. “Current medical and lifestyle treatments for Asian Indians who suffer from obesity and type 2 diabetes are often inadequate to control morbidities and mortalities associated with these conditions. COSMID provides evidence that gastric bypass is a superior treatment to medical management alone, and should be an option for patients who qualify,” said Dr. Shashank Shah, one of the principal investigators for the study, who will be presenting the findings at the ADA Scientific Session. Dr. Shah is also this year’s recipient of the ADA’s prestigious Vivian Fonseca Scholar Award recognizing diabetes research focused on the South Asian, Asian American, Native Hawaiian, and Pacific Islander populations and/or research by a scientist from these areas of the world. The results of the COSMID study are of importance not only to India, but also globally for Asian Indian populations wherever they reside – the Middle East, UK, Italy and Netherlands, as well as in North America have high concentrations of Asian Indians. Additionally, the results also could apply to other populations that tend to develop type 2 diabetes and other obesity related conditions at lower BMI’s than Caucasians. Ethicon is committed to the fight against obesity around the world, and continues to lead global initiatives, including clinical research like COSMID, to demonstrate that surgery, along with medical therapy if needed, can be a long-term effective solution for weight loss and obesity-related health conditions. In addition to research and evidence, Ethicon is committed to developing best-in-class devices and solutions designed to increase awareness and access to bariatric surgery for improved patient outcomes and quality of life. The COSMID trial two year results, along with the recent five-year results of the STAMPEDE study, build on the existing body of evidence, demonstrating that surgery is a highly effective treatment for obesity-related diabetes for certain patients. About the COSMID trial. COSMID is a prospective, randomized, parallel-group, single center clinical trial to compare the impact of Roux-en Y gastric bypass (plus medical therapy as needed) vs. optimal medical and lifestyle management among Asian Indian adults with type 2 diabetes and a BMI between 25 and 40 kg/m2. The study results are from a 5-year international scientific collaboration among Dr. Shah, David Cummings, MD from the University of Washington, and Keith Kim, MD, Celebration Health, Florida. The two-year study, following 80 subjects, found gastric bypass to be superior to medical management alone in treating patients with type 2 diabetes. COSMID is the first study to specifically address the Asian Indian population which has a different pathogenesis of type 2 diabetes than Caucasians. About Ethicon. From creating the first sutures, to revolutionizing surgery with minimally invasive procedures, Ethicon has made significant contributions to surgery for nearly 60 years. Our continuing dedication to Shape the Future of Surgery is built on our commitment to help address the world’s most pressing health care issues, and improve and save more lives. Through Ethicon’s surgical technologies and solutions including sutures, staplers, energy devices, trocars and hemostats and our commitment to treat serious medical conditions like obesity and cancer worldwide, we deliver innovation to make a life-changing impact. 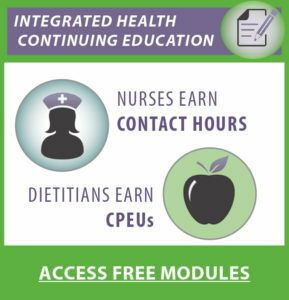 Learn more at www.ethicon.com/obesity, and follow us on Twitter @Ethicon. NEW ORLEANS, Louisiana—Novo Nordisk announced that Victoza® (liraglutide) significantly reduced the risk of the composite primary endpoint of cardiovascular (CV) death, non-fatal myocardial infarction (heart attack) or non-fatal stroke by 13% vs placebo (95% confidence interval [CI]: 0.78; 0.97, p=0.01), when added to standard of care in 9,340 adults with type 2 diabetes at high CV risk. The main results of the LEADER trial were presented at the American Diabetes Association’s 76th Scientific Sessions (ADA 2016) and also published in the New England Journal of Medicine., Victoza® is the only approved GLP-1 receptor agonist to demonstrate a superior reduction of major CV events vs placebo, both on top of standard of care, in a cardiovascular outcomes trial. 2. Marso SP, Daniels GH, Brown-Frandsen K, et al. Liraglutide and cardiovascular outcomes in type 2 diabetes. New England Journal of Medicine. 2016; In Press. Tampa, Florida—The Treat and Reduce Obesity Act (TROA) reached 150 supporters from the U.S. House of Representatives after the legislation was brought up earlier this month in the House Ways and Means Health Subcommittee by the bill’s Republican sponsor, Representative Eric Paulsen. This recent action at the committee level, coupled with newly announced support from Senators Richard Burr (R-NC) and Kirsten Gillibrand (D-NY) are good news for TROA supporters. Burr is a senior and influential member of the Senate Heath Education Labor and Pensions (HELP) Committee and Gillibrand led the successful effort in 2010 to establish September as National Childhood Obesity Awareness Month. This critical legislation will provide Medicare beneficiaries with additional treatment tools to help seniors address their overweight and obesity. Specifically, the Treat and Reduce Obesity Act would provide CMS with the authority to expand the Medicare benefit for intensive behavioral counseling by allowing additional types of qualified healthcare providers to offer these services. The Act also allows the agency to expand Medicare Part D to provide coverage of FDA-approved prescription drugs for chronic weight management. “Medicare recipients impacted by the disease of obesity need access to evidence-based treatment options. Obesity is a very complex, multifactorial disease requiring a comprehensive treatment plan. The TROA will provide Medicare recipients and their healthcare providers with meaningful tools to treat and reduce obesity by improving access to obesity screening and counseling services, and FDA-approved prescription drugs for chronic weight management,” said Joe Nadglowski, OAC President and CEO, representative of the TRO Coalition. The TROA was first introduced in 2013 during the 113th Congress by Representatives Paulsen (R-MN); and Kind (D-WI); and Senators Carper (D-DE) and Cassidy (R-LA). While the legislation received strong bipartisan support in both the House and Senate, with 121 co-sponsors, the legislation did not progress beyond the committee level last congress. The Coalition is working diligently to increase cosponsors and secure the support needed for passage this year. To learn more about The Treat and Reduce Obesity Act or contact your legislator, please visit www.covermedicalweightloss.com. About the TRO Coalition. The TRO Coalition, developed in 2013, is comprised of the leading patient and healthcare professional groups that either treat, or are affected by, the chronic disease of obesity. The goal of the TRO Coalition is to spread awareness of The Treat and Reduce Obesity Act and encourage individuals, organizations and others to support its efforts. National Harbor, Maryland—The OAC, along with the YMCA of Metropolitan Washington and B’more Fit for Healthy Babies, led by the Baltimore City Health Department and Family League of Baltimore, are excited to invite residents of the DC, Maryland and surrounding metropolitan communities to join us on Saturday, August 27 from 8:30 am to 5:30 pm for our FREE Community Health Outreach Day, taking place at the Your Weight Matters Healthy Living EXPO at the Gaylord National Resort in National Harbor, MD. “The OAC is honored to partner with the YMCA of Metropolitan Washington and B’more Fit for Healthy Babies for our Community Health Outreach Day. We recognize the need for access to the right kind of information on weight and health, which can often be difficult to find. We’re very excited for the local communities to join us for this great educational opportunity,” said Joe Nadglowski, OAC President and CEO. During the OAC’s Community Health Outreach Day, the public is invited into the Your Weight Matters Healthy Living EXPO for FREE, where local area residents can take part in a targeted health and wellness exposition that includes a diverse set of vendors specific to the weight management industry. In addition to access to the EXPO, local area residents can also enjoy an array of supplemental tools to help in their weight management journey, such as free access to select educational sessions at the OAC’s National Convention (taking place in conjunction with the EXPO), along with the ability to participate in a free health and wellness screening. To take part, local area residents are encouraged to sign-up for their FREE EXPO pass by visiting www.YWMConvention.com/EXPO. One of the exciting features included with the FREE EXPO pass is a ticket to one of the Convention’s Keynote sessions, featuring the winners of ABC’s Reality Weight-loss series, “My Diet is Better than Yours,” nationally-acclaimed dietitian Dawn Jackson Blatner and contestant Jasmin Queen. Attendees will also receive one ticket to our exclusive session designed for EXPO Pass registrants, featuring an easy to understand overview of nutrition and exercise – two essential components needed for any weight management journey. “As a leader in health and well-being in the DMV region, the Y saw the partnership with the OAC as a tremendous opportunity to share resources through promotion and support of the Your Weight Matters Healthy Living EXPO,” said Lisa M. Horton, MS, Association Senior Director of Healthy Living. Today, approximately 29 percent of Maryland residents and 21 percent of DC residents are impacted by obesity. In addition, nationally, obesity-related healthcare cost is estimated at $315.8 billion annually. However, even with these staggering statistics, free access to quality, evidence-based education on weight and health is often very difficult to find. “I’m truly excited and thankful to attend the Community Health Outreach Day at the OAC Convention. I’m even more excited to gather and exchange information about support, ways to improve my life and my daughter’s and educate myself on different creative avenues to take to help make my weight-loss journey fun and innovative. I’m in this to win the war on obesity and this conference is my stepping stone,” said Tameshia Michele Farley, B’more Fit Member. To sign-up for your FREE EXPO pass today or to learn more about the OAC’s Community Health Outreach Day, please visit www.YWMConvention.com/Expo. About the OAC. The Obesity Action Coalition (OAC), a more than 52,000 member-strong National non-profit organization, is dedicated to improving the lives of individuals affected by the disease of obesity through education, advocacy and support. About B’more Fit for Healthy Babies. The B’more Fit for Healthy Babies Coalition, led by the Baltimore City Health Department and the Family League of Baltimore, is part of the B’more for Healthy Babies (BHB) infant mortality strategy for Baltimore City. B’more Fit is a holistic wellness movement that helps low income families focus on nutrition, stress management and fitness to achieve a healthy weight. B’more Fit receives funding from the federal Office on Women’s Health Coalition for Healthier Communities initiative and other local foundations. About YMCA of Metropolitan Washington. The YMCA of Metropolitan Washington is a 501©3 nonprofit charity organization and has been serving the communities and families of DC, Maryland and Virginia for nearly 165 years. Through opportunities in wellness, aquatics, youth sports, summer camps, child care and more, the Y engages more than 250,000 individuals through our 16 branches and program centers.